It is said that first impression is your last impression. 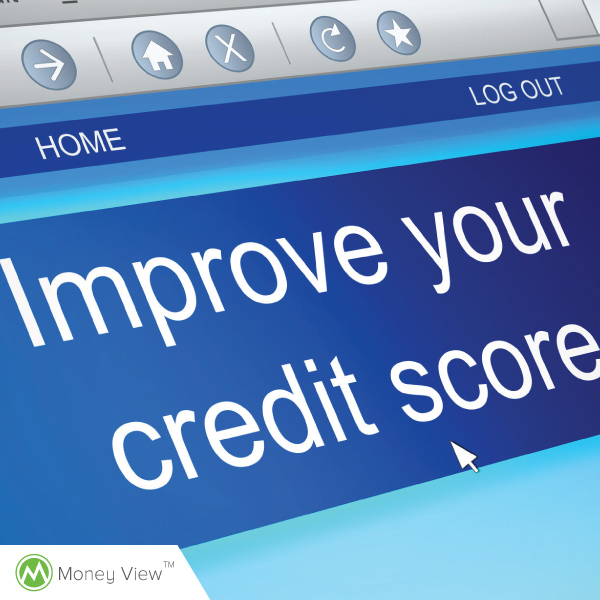 For the banks considering lending you some money, this first impression is formed by looking at the credit score. Credit score, or CIBIL score as is generally called derives the name from the agency maintaining the database, is nothing but a score based on the credit history of an individual. Credit score reflects the borrowing and repayment habits of the person by providing information about the nature of loans (including credit cards) held by him. Since this report shows the number of loan accounts held with different banks, its repayment history, overdues status, it acts as a perfect barometer for a bank to judge the defaulting tendency of the borrower. 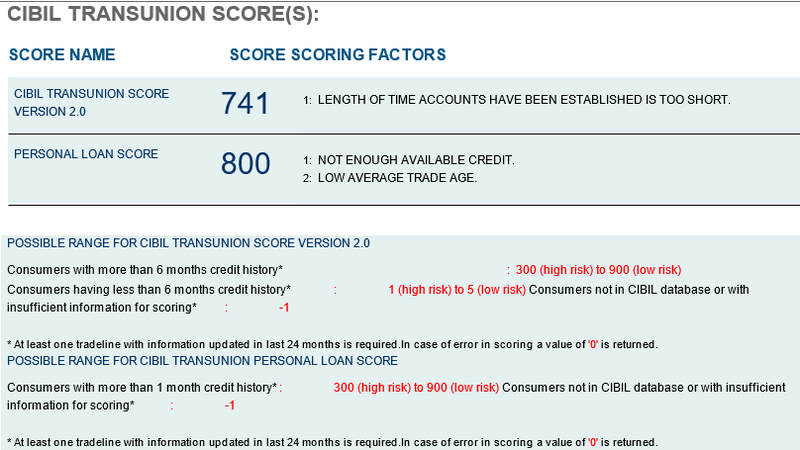 For an individual with a regular credit history of more than 6 months, the CIBIL score ranges from 300 to 900 with the risk being inversely proportional to the score. This 3-digit numerical expression of our repayment habits clearly impacts our access to loans and credit cards and thus it gets imperative to have a better credit score. Paying the Credit Card/ Loan Dues timely – One should always strive to pay off the credit card bills and loan EMIs timely without any delay. Being one of the prime factors in determination of the credit score, a good repayment history will translate into a high credit score. Credit card companies generally provide an option to pay just minimum dues but that only prevents the customer from the levy of late payment charges. As we have covered in our posts on avoiding credit card debt, make sure you spend only that much amount on your credit card which you can fully repay next month when the amount gets due. And a special tip for payment of credit card dues, the same may be paid online through NEFT. While the normal payment through websites takes 2-3 days to reflect into the credit card account, NEFT payments are generally acknowledged on the same day. Not Getting tagged as Credit-hungry Individual – CIBIL records it every time an individual’s credit score is checked by a bank/ financial institution. Credit score displays the number of times credit score has been enquired in total with separate information about the enquiry in the last 30 days, last 12 months, last 24 months. The report also shows the details of enquiries done date-wise. A credit-hungry individual is usually demonstrated by showing numerous enquiries for loans/ credit cards. Repeated enquiries of seeking credit indicates an individual’s excessive reliance on credit and further, demonstrates reluctance of the lenders to advance loans if such enquiries have not got converted into loan accounts. It has been seen that a borrower applies for loan for a particular purpose with multiple banks at the same time and hence, banks access the credit history almost at similar time, which may give an impression that credit has been denied quite recently. Such methods should ideally be avoided and final application be made only with the bank offering the most competitive rates and services. As a special tip, the individual, while negotiating with several banks, can display their credit history after downloading it from CIBIL website, which will enable the banks to take a better decision and consequently offer you better rates based on the credit rating. Keep your balances low – Not only does the timely payment of dues help, the spending pattern of an individual also gets highlighted by the patterns of utilisation of the credit limit. If one consistently exhausts their Credit card limits and mostly pay just the minimum amount due, credit score gets adversely affected. Lenders view it negatively as this indicates high reliance of the individual on debts. A special tip, even if one reaches the credit limit during the month due to specific spends, he/she can pay off part dues before the generation of credit card statement to contribute towards a better credit score. These are some healthy credit habits which can help you improve your credit score and hence grant you access to more credit options. Borrow smart with a better credit score, but repay smartly to maintain it. Simardeep Singh is a Chartered Accountant based in Delhi. He loves sharing his knowledge about personal finance and investment. He blogs regularly at www.simardeep.com.